According to the British Journal of Sports Medicine, prolonged sitting should be considered within occupational health and safety policies and practices just like other elements of posture. The mushrooming effect of health issues associated with prolonged periods of time sitting at the work station are concerning. Many of my clients have resorted to stand up desks to help with this issue. This is great, but for many hours each day people are sitting for large portions of time. This may include commuting to and from work, sitting in meetings, relaxing in the evening whilst SAT watching TV or on other forms of technology. This month I have created the theme “Somatic in September” for Total Somatics (www.TotalSomatics.com). I would like to increase your somatic awareness to different areas of your life. So this week I am highlighting how we sit and what we can do to increase our awareness. Watch the short clip below as I introduce the subject. Why is postural awareness so important? Total Somatics covers the area of posture extensively in my online programs. If we develop poor posture, our muscles have to perform the job of the skeleton. When we use our muscular system for a role to which the skeleton could easily do, that is hold our body upright without spending too much energy in gravity; unnecessary amounts of energy are used. When muscles are working twice as hard and covering the role of the skeleton, it requires muscle to burn energy needlessly but more importantly it prevents us from using the muscles for their primary purpose - to move the body in different positions. When many of us move, we move quite inefficiently. This results in extra energy being expended from the muscles, creating excessive muscle tension. Prolonged habitual behaviours in our posture and movement create chronic muscle pain and tightness. We become restricted with our movement and then we develop aches and pains which start to restrict us from moving freely. This creates further inactivity. The vicious cycle of muscle tightness, pain and inactivity continue. 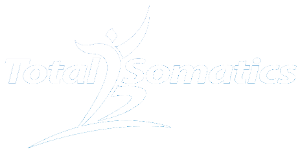 Part of the Mindfulness with Total Somatics online programs (www.TotalSomatics.com) are to increase your somatic awareness to how you hold yourself. By increasing your awareness to how you sit, you will be able to integrate changes developed in the online program so you can break habitual postures, movements and behaviour which have contributed to muscle tightness, pain and limited movement. 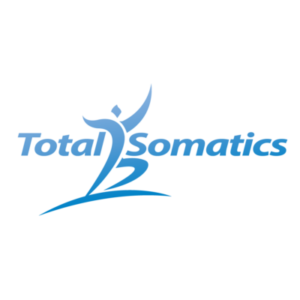 By incorporating what you learn online with Total Somatics, you can become somatic in many areas of your life. Once you learn Mindfulness with Total Somatics, you will find your eyes are opened to a whole new level of understanding around the subject of posture, movement, mindset and pain. I have created the following audio to help you increase your somatic awareness to how you sit. Keep in touch with all the latest news and daily inspirational quotes to help you increase your somatic or holistic awareness to health and well being by connecting with the Total Somatics Facebook and Instagram accounts.